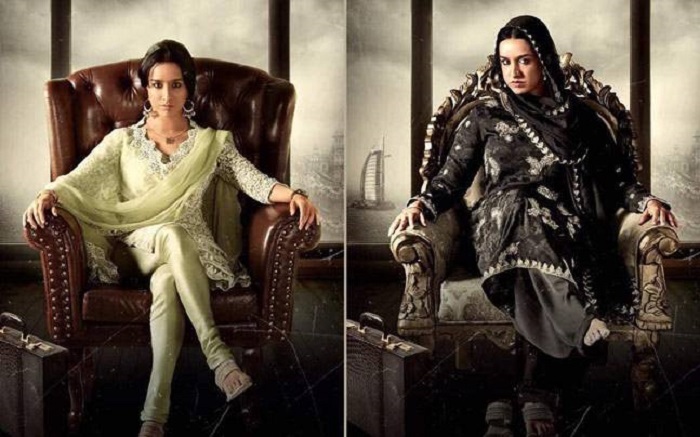 “Haseena Parkar” Starring Shraddha Kapoor to Finally Release on 22 September! Bollywood is all set to showcase the life of Dawood Ibrahim’s sister Haseena Parkar through her biopic starring Aashiqui fame actress Shraddha Kapoor. The upcoming biographical crime film "Haseena Parkar" is based on terrorist Dawood Ibrahim's sister featuring Shraddha Kapoor in the title role. The makers have done a lot of research behind every scene to make it as real as possible and the hard-work can be seen through the posters of the movie. The movie was initially named “Haseena: Queen of Mumbai”. The film was earlier scheduled for release on August 18, but the date has now been pushed further to avoid any clashes of sorts. Now the film is ready to hit theatres on 22 September this year. The film features Siddhant (Kapoor) and Ankur Bhatia in pivotal roles. The former will be seen playing the role of Haseena’s (Parkar) brother, Dawood Ibrahim while Ankur Bhatia will be portraying Haseena's husband Ibrahim Parkar. Siddhant Kapoor, son of Shakti Kapoor, started his career by working as an assistant director in 2007 comedy horror Bhool Bhulaiya and was also seen as young Rangeela (Shakti Kapoor) in Salman Khan’s Judwaa. When asked to comment on the issue, Apoorva Lakhia said, "As a director, it is very important for me to ensure that the film reaches out to a maximum audience as it takes a lot of patience and perseverance to make a film on a subject like this. We are all set to release on September 22 and hope the audience loves it as much as we loved working on it." The film has been produced by Nahid Khan with Swiss Entertainment. Considering the controversial subject of the film and the ongoing tussle with dates, only time will tell when the film will actually see the daylight. Shraddha will be seen first time portraying such an intense and dark character and we all can’t wait for the release.